Healthcare providers are spending a lot of money on connected devices. But this comes at a time when cyber attacks on healthcare targets are increasing with medical devices a prime target. Israeli start up Medigate has secured backing for a technology platform, that lets security teams defend networked medical devices from cyber attacks. It combines knowledge and understanding of medical workflow and device identity and protocols with the reality of today's cyber security threats. Medigate aims to provide visibility into all medical devices connected to the network, fully identify these devices by type and personality, and analyze and understand their specialized protocols, communications and behaviors. By using this knowledge to detect anomalies and suspicious activities, the platform protects devices from network attacks and data exfiltration attempts. "It's an imperative to connect devices to the network, both to manage and monitor devices in real time and to understand and analyze the large amounts of data generated from these devices," says Jonathan Langer, Medigate's CEO and co-founder. "At the same time, we see backdoor attacks like MEDJACK and ransomware attacks like WannaCry and NotPetya successfully targeting healthcare providers. Connected devices are a ripe target for cybercriminals. The Medigate solution is designed to effectively protect medical devices from these attacks and eliminate this pandemic risk. We are truly ecstatic to have two leading global funds like YL Ventures and Blumberg Capital investing in Medigate." By delivering a dedicated medical device security platform, Medigate allows providers to more safely operate all medical devices on their network. It discovers and secures existing and new devices, ensuring that these devices continue to deliver lifesaving treatments and protect patient confidentiality. Medigate has secured $5.3 million in seed funding for the project. "Connected medical devices -- from patient monitors, MRIs and CAT scanners to infusion pumps and yet-to-be invented devices -- are critical to the delivery of healthcare today and are revolutionizing the care of tomorrow," says Yoav Leitersdorf, managing partner at YL Ventures, which led the Medigate funding round. "These devices are inherently different from traditional IT endpoints and can’t be protected by currently available products and practices. 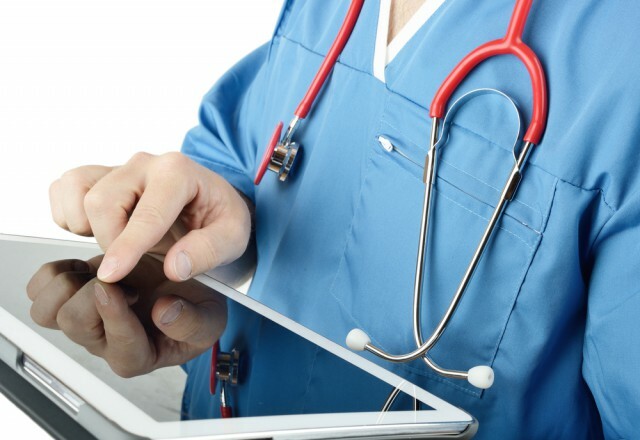 With the pandemic of cyber attacks targeting healthcare providers, far too many connected devices are left vulnerable and exposed, putting patient health and privacy at risk. Medigate's solution directly addresses this crucial problem by mitigating targeted attacks on medical devices." The Medigate platform is currently in limited availability with qualified customers, general availability is expected next year. You can find out more on the company's website.